The Parade of Homes is behind us and we are officially in the best time of the year! There’s always excitement in the air around here (except for the traffic) during this time and with all the new developments happening, I’ve felt it even more this year. This the time that things really start to pick up and I couldn’t be more excited. Check out what is new down below and if you know anybody looking to buy or sell a home, invest in real estate, or has any questions at all, let me know and I can help them get started. H&M coming to the Red Cliffs Mall! This could be big news for the mall. Construction should be underway soon. Beans & Brews at Dinosaur Crossing is now OPEN! Orange Peel signs are up at Dinosaur Crossing and will be open at some point this month. 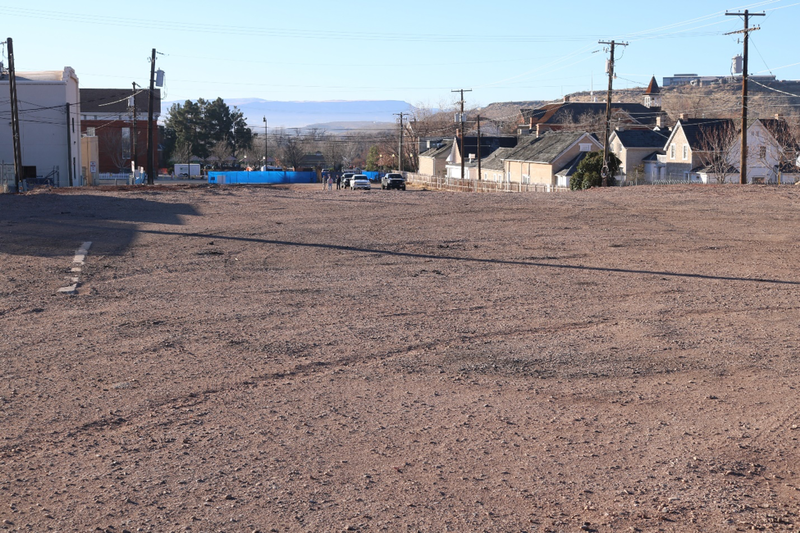 Simister Ortho and Riverside Dental will break ground on a building next to Mountain America and Lin’s in Washington Fields. No timeframe confirmed yet but this is great news for people out in the fields. 700 degrees pizza- this new restaurant will go under construction soon on Sunset Blvd. where Teriyaki Grill used to be. No timeframe confirmed yet but it is on its way! 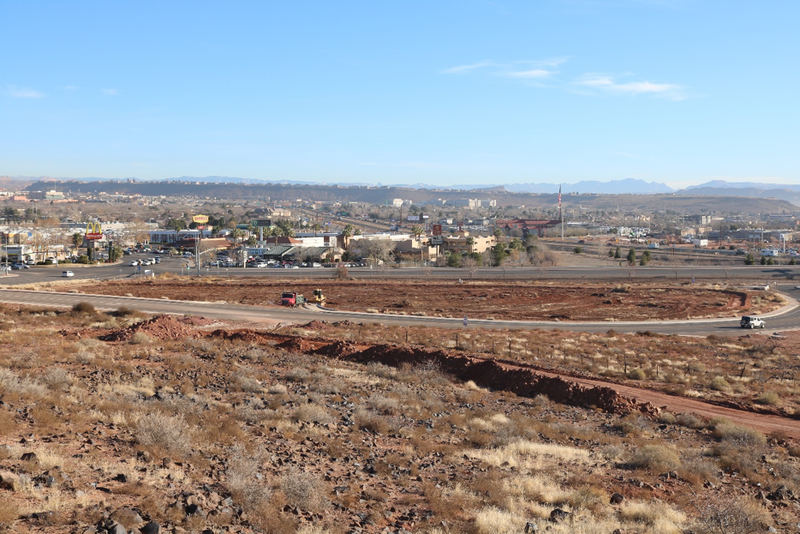 For more info on the best local spots in St. George, check out The Best of St. George on Facebook and Instagram! Virgin Berri- They travel around to Green Gate Village, ACE Hardware, Lowes, and more. Follow them at @virginberri on Instagram for their daily locations. Stone Canyon Eye Care- under construction. Coming soon! plied Technology College- under construction. My Place hotel is now under construction soon right behind the Culver’s restaurant down by the Convention Center. Staybridge Hotel is now under construction across from Furniture Row. Tru by Hilton is now under construction across from Furniture Row also. A new Findlay car dealership is now under construction. Café Sabor- 290 E. St. George Blvd (where Wagon Wheel used to be). Now OPEN. Harmons fuel station- now OPEN. Hampton Inn- 5 story, 120 room hotel. Under construction, expected to be open soon! Pine View 10 Plaza- a new retail building with 2 spaces. T-Mobile is now OPEN and Brent’s Pharmacy is just about there! Love your bath & body- new store next to Durangos. They have bath bombs, bath salts, lotions, candles, and pretty much anything else that women love. It’s now OPEN! The Fields at Mall Dr.- A new professional commercial plaza that just recorded with the county will be underway in the near future. It is directly north of Lin’s out in the fields. Stay tuned for updates! Mountain America in Santa Clara is under construction. Virgin– There is a Marriott hotel underway and more development out there coming soon. This year started out with 116 new building permits last month. There is a large number of lots being developed right so we should be seeing more and more come available the next few months. Here is what was recorded in the month of January, including commercial developments.